Originally published in the Australian Financial Review. So far, 2017 has seemed a bruising year for Australia's links with China. But rather than a crisis, this is a long-overdue reality check, from which a healthier and more sustainable relationship can emerge. A scan of the headlines and some of the more colourful commentary could leave the false impression that Australia is wilfully wrecking a wonderful friendship. According to Hugh White, a former senior defence official and my Australian National University academic colleague, we have somehow reached a situation where the Prime Minister has "no idea at all" what to do about China's increased power in Asia, other than make empty threats of Cold War-style containment. Professor White was referring to Malcolm Turnbull's speech to Asian security summit the Shangri-La Dialogue in Singapore at the start of June, in which the Prime Minister warned against the prospect of a coercive China. Mr Turnbull called instead for the rights of smaller states to be upheld and urged China to respect the sovereignty of others, thus building trust and co-operation with its neighbours. Meanwhile a former ambassador to China, Geoff Raby, who now heads a Beijing-based advisory firm, has alleged "hysteria" in the way investigative journalists and the national security community have raised concerns about Chinese influence inside this country. He claims that "adults" are no longer in charge of China policy, which is being run instead by security agencies playing to their bureaucratic interests and budgets – as if with terrorism they didn't already have plenty to worry about. Thankfully, it is possible to read matters with a little more nuance. What we are really seeing in Australia is a new maturity in relations with China, moving beyond the base motivations of fear and greed that have too often distorted our national conversation about one of the world's great civilisational powers. The new China narrative is informed by Australian sovereignty, confidence and vigilance – and an aspiration to build a durable relationship grounded in non-interference. Correcting the narrative to get to this point was always going to be uncomfortable. Now the Australian political class is much more willing, more so than even a year ago, to draw the line about unacceptable levels of foreign influence – whether through cyber and other intelligence work, propaganda, political donations, state-directed community mobilisation or the intimidation of dissident voices in the Chinese diaspora. The Australian government, under a leader who no one can dismiss with the lazy avian shorthand of "hawk", is ready to be honest with the region. In Singapore Mr Turnbull was hardly calling for "containment" of China – which would imply economic isolation, the last thing a trading nation wants. Instead, he urged the many players of our Indo-Pacific region to build an inclusive mesh of middle-power co-operation, a dual hedge. This more-textured regional architecture is meant to mitigate the harm that could flow from the misuse of China's newfound power – or from the unreliability of America under Donald Trump. It will be difficult and patient work with no guarantee of success. That makes it a worthy successor to previous Australian efforts to engage with Asia, all of Asia, not China at the expense of the rest. Importantly, this new balance in Australian policy avoids the imagined goal of strategic trust, which remains unrealistic given the ways in which the Chinese party-state's strategic imperatives and objectives potentially clash with those of Australia, its American ally, strategic partners such as Japan and India, or resilient smaller states such as Singapore or Vietnam. But nor is Canberra being silenced by paranoia. Mr Turnbull spoke forthright words in Singapore. There is closer security co-operation with other countries wary of China. 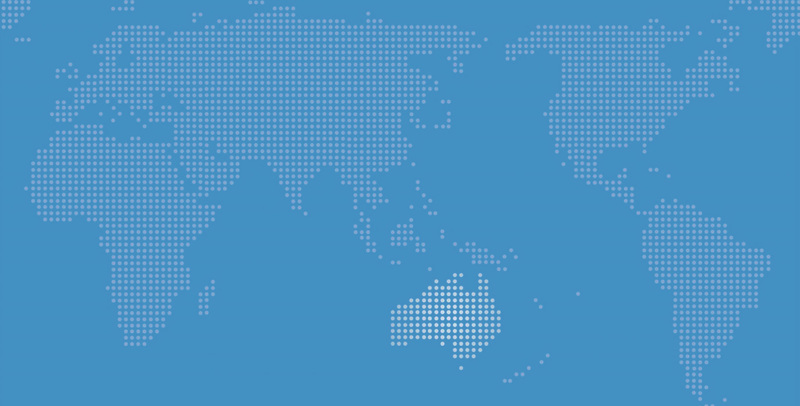 Australia reserves the right to support international rules in the South China Sea. Security considerations are now systematically included in assessing foreign investment proposals. The nation is reviewing its espionage and foreign interference laws. And we are preparing to do without overseas political donations. All these things are happening precisely because Australia is not yet so reliant on or fearful of China that it cannot afford to assert an independent view. As we are seeing in South Korea, economic coercion can backfire, and perhaps China knows it. The challenge now for Australia and China is to make constructive use of the difficult moments of recent months, including Parliament's rejection of an extradition treaty, Australia's caution about China's grand geo-economic Belt and Road initiative, the detention of Sydney academic Feng Chongyi, Mr Turnbull's Singapore speech and the foreign interference controversy. Many good things have not changed. Australia continues to attract trade, investment, people, knowledge, technology and culture from China and other partners in the Indo-Pacific, including our foremost investor the United States. The census has confirmed that Australia's growing population embodies the Asian century, including rapid growth of our Chinese and Indian communities, whose freedoms within Australia deserve protection. And on global concerns like climate change and free trade, Australia remains keen to explore the possibilities of China's new-claimed mantle of a lead role in global multilateralism. These are uncertain times in the world. As the government prepares its foreign policy white paper, our watchwords needs to be resilience, sovereignty and diversity, and with great powers like China a relationship grounded in mutual respect.